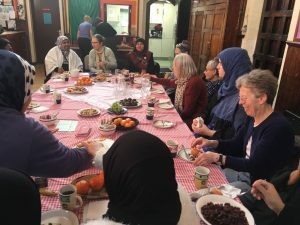 Yesterday, our sisters from the Finsbury Park Mosque visited the sisters at St. Thomas’s Church and had tea gathering together, this gathering was arranged after the horrible incident last week outside the House of Parliament. 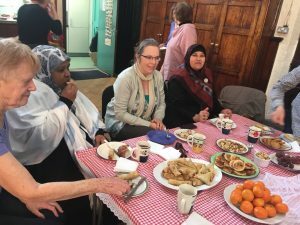 The sisters from Finsbury Park Mosque were welcomed by the sisters from the church. They all had afternoon tea together and exchanged words and also planned two other activities together within the next two months. This gathering has brought our relationship with our local church better & stronger and created a much better understanding between our two faith groups.